Cinematic Orchestra are a symphonic electronica band with a lush, evocative & atmospheric sound. 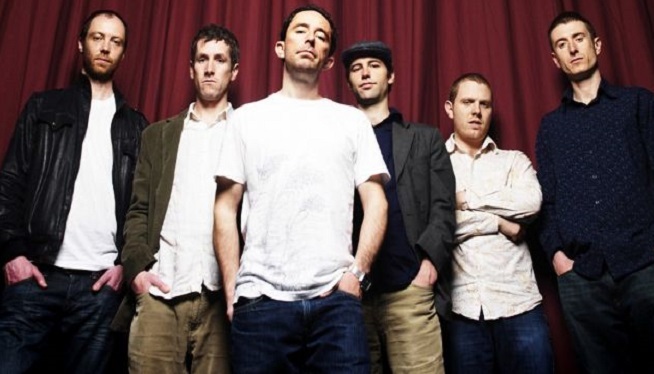 Led by British musician Jason Swinscoe (pictured in the center of the photo wearing a white shirt), the Cinematic Orchestra’s first studio release in twelve years, “To Believe,” will be in the album spotlight on Fine Tuning this Sunday. Also in the mix will be a birthday tribute to the late, great Buzzcocks lead singer Pete Shelley, who would’ve turned 64 on April 17. Fine Tuning: Sundays from 4 – 6 p.m. on ann arbor’s 107one.